Around the year 1500, artist Jacob van Oostsaenen (1470-1533) was commissioned by the churchwardens to make new works for the Oude Kerk. His work is still here to admire, desecrated by the iconoclasm and worn by time. The tradition to order new work for the Oude Kerk from artists has never waned. Today, Van Oostsaenen has numerous colleagues in the Oude Kerk, from Joost van den Vondel and Jan Pieterszoon Sweelinck to Marinus Boezem and Christian Boltanski – making the Oude Kerk the biggest commissioner of art in the Netherlands. We present contemporary art and connect our time to the centuries yet to come. Click here to find out what’s going on at the Oude Kerk now. 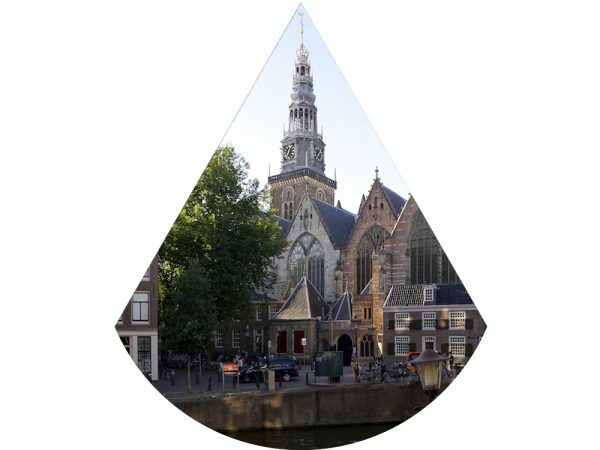 Oude Kerk is situated an 8 minute walk from the Central Station. The area is hard to reach by car, which is why we recommend using public transport. Follow the Damrak, turn left in front of department store De Bijenkorf. Follow the narrow alley alongside the parking garage of the Bijenkorf until you reach the Warmoesstraat. Turn left on the Warmoesstraat and right into the second street: De Wijde Kerksteeg. Now you will see the Oudekerksplein, walk clockwise around the church to reach the entrance. In front of the Central Station take tram 4, 9, 16, 24 or 25. Get off on the first stop: Dam square. You will see department store De Bijenkorf; walk left and follow the narrow alley alongside the parking garage of the Bijenkorf until you reach the Warmoesstraat. Turn left on the Warmoesstraat and right into the second street: De Wijde Kerksteeg. Now you will see the Oudekerksplein, walk clockwise around the church to reach the entrance. You can reach to Oude Kerk by car from Oudezijds Voorburgwal. Until 11 a.m. the Oude Kerk can also be reached through Warmoesstraat. From 8 p.m. the area around the church is closed for cars. You can park your car at the Parking Bijenkorf or at the Parking Central Station. The Oude Kerk is reasonably accessible for people in wheelchairs or with crutches. For more information please visit Toegankelijk Amsterdam. closed on 25 December & 27 April. 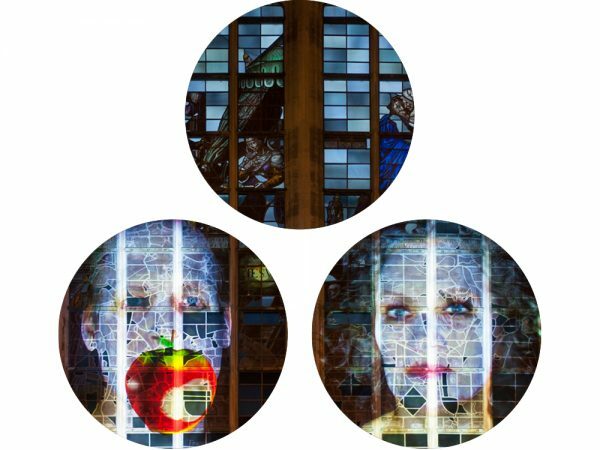 Do you want to know more about the Oude Kerk, the oldest building in Amsterdam, and its collection of contemporary art? The Oude Kerk offers different tours for adults. 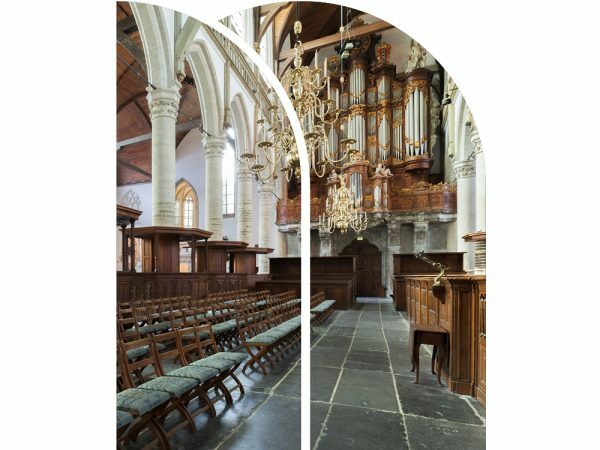 Depending on your interests the emphasis can be on the history, the architecture, the current exhibitions at the Oude Kerk, or, in Oude Kerk tradition, a combination of all of these. Find more information on guided tours here. 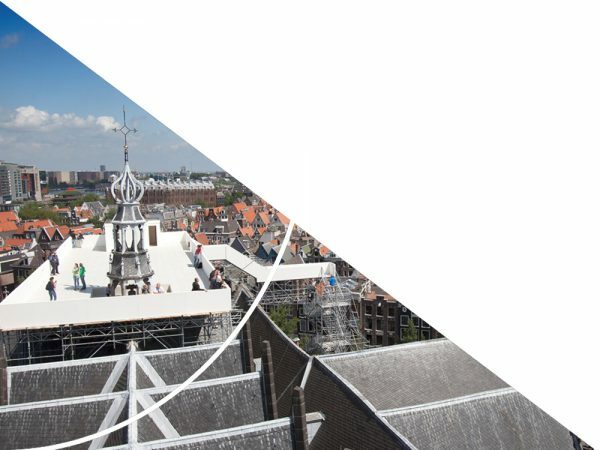 During the tours on the architecture and history of the Oude Kerk, you will learn all the secrets of the building. Interested? Contact the Oude Kerk for more information: marketing@oudekerk.nl.